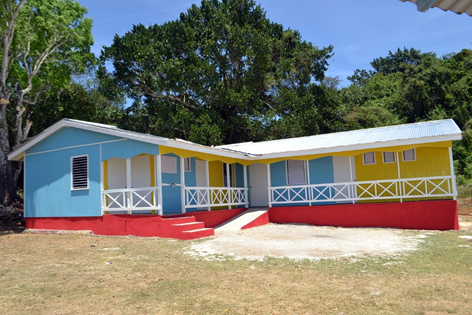 HAMPDEN INFANT SCHOOL: The new building that will house the toddlers from Hampden Primary School’s Infant Department, located in northern Trelawny. The building includes spacious classrooms, proper sanitation, an office, sick bay and fully-equipped kitchen facilities. Additionally, the new building will have all the necessary educational modules including child-friendly furniture, playground equipment and security fencing. 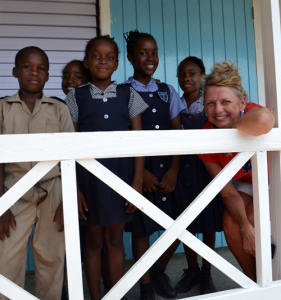 Food For The Poor Canada (FFPC) has partnered with FFP Jamaica to mark their 10th Anniversary with the construction of a new building for the Infant Department of the Hampden Primary & Infant School in Trelawny. Through the generosity and dedication of its volunteers and donors, FFPC has grown steadily over the past decade, building 28 schools in Jamaica, 80 homes in Haiti and Jamaica, shipping tens of millions of dollars’ worth of medicines, medical equipment, food and educational supplies, supporting numerous livestock projects, and providing emergency relief after natural disasters. “Canadians are so generous and passionate, they have taken to heart Food For The Poor’s holistic system of sharing: It takes a village to build a village. By building a school this week, we are building both the structure and the opportunity for this village in Trelawny, and next month we will celebrate the opening of the village of Bezin in Haiti – with 30 new homes, a chicken farm, and community water and light,” shared Samantha Mahfood, Executive Director of Food For The Poor Canada. The school’s Infant Department provides free education to the youngest in the community. Demonstrating their commitment to changing lives through learning, volunteers raised the funds to cover the construction of a school that includes three classrooms, a playground, a water catchment system and a kitchen. Along with the team and contractors of sister charity FFP Jamaica, Canadian volunteers took leave from their busy schedules to hammer and paint under the hot sun. Energy was high as the building went up, as students and teachers watched while expressing excitement about this new space. “Hampden Primary School is finally getting a building for our Infant Department, something we have wanted for many years now. I am so excited and I know it will make a big difference in the lives of the children and the community… Many thanks to the Canadian donors and Food For The Poor,” were the remarks from the Principal, Mr. Richard McLaughlin and Senior Teacher, Mrs. Dawn Gordon Pinnock. The opening ceremony, on April 12, 2018, had strong Canadian representation, as the previous High Commissioner of Canada to Jamaica and FFPC’s current Board Chair, Robert Ready, spoke of work done by Canadians over the last 10 years. The current High Commissioner of Canada to Jamaica, Laurie Peters, followed, aptly touching on the centuries-old relationship between the two countries. The celebrations ended with a ribbon cutting to officially open the new building.